Written in a Cookbook style, it's packed with logically-sequenced recipes to gain deeper understanding of the software. Each recipe contains step-by-step instructions followed by analysis of what was done in each task and other useful information. The book is designed so that you can read it chapter by chapter, or you can look at the list of recipes and refer to them in no particular order. 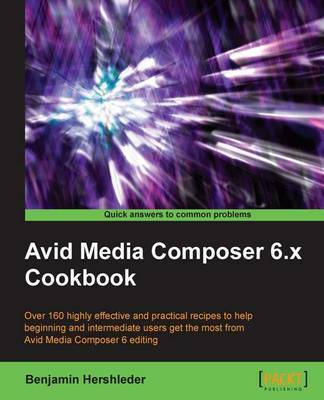 If you are new to editing with Avid, this book will help you get the most out of Avid Media Composer right from the start. Even if you are intermediately experienced with Avid, you will discover new methods and gain a deeper understanding to take your Avid experience to the next level, with greater confidence.